You are browsing the Blog for camp - Scoop: The Appaman Blog. For so many kids, there are two times of year: summer camp, and the rest of the year. Camp movies are the perfect thing to enjoy as a family during that final stretch between late spring and the most glorious weeks of the year. The timeless setting is a nostalgic treat for adults, and what kid doesn’t love a story about minimally supervised adventures where the children reign over the adults nearly every time? It’s rare that a remake of a beloved classic film can hold its own next to the original, but this one arguably does. Maybe it has something to do with the camp setting being so timeless. The tradition of camp is what makes it so special (even when you’re in trouble for pranking your bunkmates). Wednesday (Christina Ricci) and Pugsley Addams aren’t exactly a great fit for the rah-rah, sunshine-and-rainbows vibe of Camp Chippewa…especially because it’s not really a very friendly place when you’re an outsider who marches to the beat of your own (morbid) drummer. Families with a offbeat sense humor and an appreciation for the macabre will enjoy this underrated dark, campy comedy and its all-star cast. It’s rated PG-13, so it’s best for older kids. A group of boys find fun and camaraderie at a camp for overweight kids, which isn’t as bad as they’d feared…at first. Then, the camp goes bankrupt and is taken over by a maniacal, self-serving fitness guru, played by Ben Stiller. Kids will love the snappy, quotable one liners (“Attention campers! Lunch has been cancelled due to a lack of hustle.”) and the glorious face off against the evil villain. Adults may roll their eyes at the crude humor, but that’s ok. Written by Judd Apatow, and featuring a young Kenan Thompson. Ok, so maybe it’s another film where two lookalikes meet at camp (one rich, one poor), but this Parent Trap inspired comedy, starring Kirstie Alley and Mary-Kate and Ashley Olsen, was mentioned by almost every staff member at Appaman HQ. It’s certainly one of the most memorable films of the Olsen twin empire, and features a food fight and plenty of kid-lead hijinks. The quintessential summer love story. 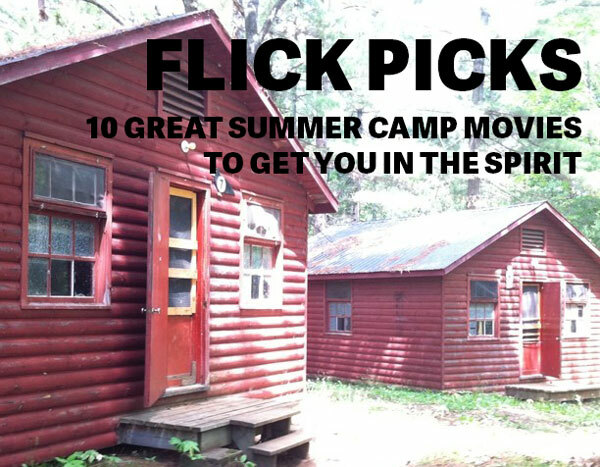 We all have memories of wanting to spend all our time with our camp flings. Wes Anderson perfectly captures those memories in this quirky summer camp flick. This time, the kids are the counselors! It’s summer time and the teenage entrepreneurs known as the Baby-Sitters Club have started a day camp for all the kids in town. When they’re not running the show at Camp BSC, they’re coming to terms with their own adolescent coming-of-age narratives. Disney’s iconic straight-to-tv movie deserves to be treasured forever because it launched the career of pop juggernaut Demi Lovato. It also features the Jonas brothers with super questionable 00’s haircuts. Set at a camp for talented musicians, this film follows the journey of the Camp Rock kids as they prepare for a huge final showcase. It has everything you want out of a camp movie – slapstick comedy, now-outdated fashion trends, classic camp shenanigans, romance and — of course — awesome original music. Show up for the nostalgia, stay for the genuinely catchy tunes. It’s not a “camp flick” in the summer camp sense, but this ’80s gem is too good to overlook. A group of wealthy Wilderness Troop girls, lead by the fashionable and fabulous Phyllis Neffler (Shelley Long) must finally learn to rough it if they’re going to compete for ultimate glory against the more seasoned scouts at the annual jamboree. Anyone who thinks you can’t “scout” in style has never seen this film, and its over-the-top, impeccably styled wardrobe. 10. Wet Hot American Summer (2001) — For grown ups only! You’ll have to wait until your littles are off to their own camp before watching this one. This farce/satire is one of the best cult classic comedies ever made, and certainly one of the best camp films. Set on the last day of camp in 1981, it follows of group of counselors and staff as they wrap up unfinished business (and romance) before they must return to the real world and leave the magic of camp. The bizarre and absurdist humor isn’t for everyone, but if you’re into the weirdness, you’ll treasure this film. Younger Gen-X’ers and older Millennials have fond memories of this excellent television show from Nickelodeon’s early ’90s heyday, before kids’ television became as highly produced and stylized as it is today. The teenage campers of Camp Anawanna have different backgrounds and personalities, but stuck together at camp (with hardly any adults), they have fun, prank their clueless counselor, and form lasting bonds.